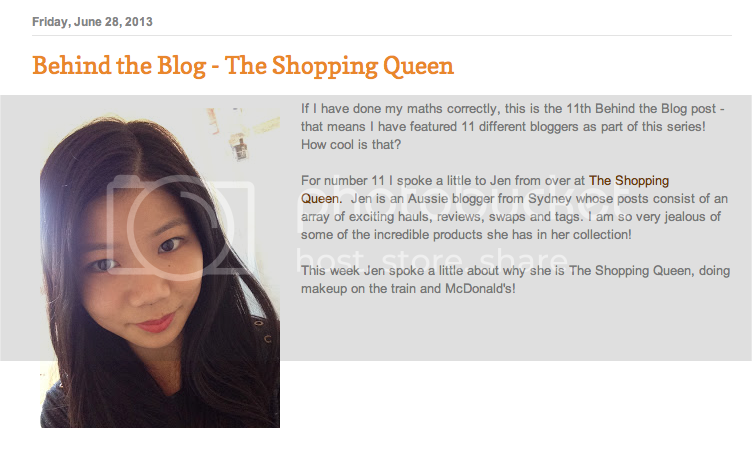 The Shopping Queen: I got featured! Candice from YouReview contacted me recently and asked if she could feature me on her blog as part of her "Behind the Blog series". Of course I said yes as I love her blog and I love her honest opinions in her posts. I answered a few questions for her and she posted them on her blog. 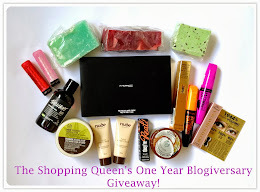 Please click on the photo below and check it out :) Please follow her and show her some support as I think that this is an amazing series that she's doing and she's featured a lot of amazing bloggers! Thanks a bunch Jen! It was SO lovely to feature you ! Congratulations! It's a great interview. I'm half Chinese and can speak Shanghainese too and I can totally relate to you with looks and responses people give you! I think most people only think of Mandarin when they think languages spoken in China and explaining it will only confuse them more, as I've learnt!